Helicopter Emergency Medical Service ("HEMS") or Air Ambulance Services secure transportation of patients to hospitals by air, at the same time providing emergency care. The service is usually operated in a state-run model (like in Polish "LPR" case), fee-for-service model (Swiss "Rega" example) or even public- or private-donated model (like in case of operations supported by German ADAC or Dutch ANWB). 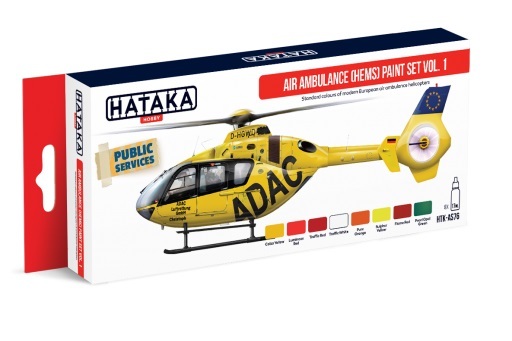 Most of the European HEMS operators are using one of the following helicopter types: Agusta A109K2 or A109S Grand Da-Vinci (for high-mountain operations), Airbus Helicopters EC135, EC145 (originally referred to as BK 117 C2) or (less popular) AS365 Dauphin, eventually Bell 429 - all operated in high-visibility painting schemes.